Our next announcement shouldn't come as a surprise to anybody familiar with our renowned analyst Nenad Kerkez. 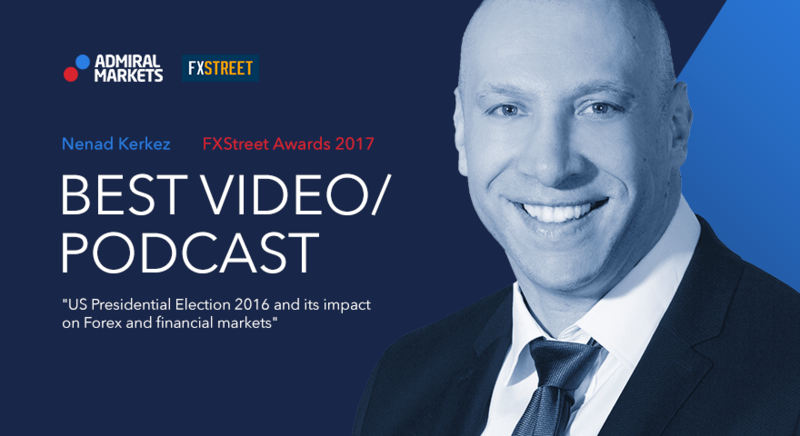 We're delighted to tell you that Nenad's webinar, US Presidential Elections 2016 and the Impact on Forex and Financial markets, has been recognised as the "Best Video/Podcast" in The Forex Best Awards 2017 competition. Nenad Kerkez is a financial analyst with an unmatched ability to explain complicated things in simple terms. When Nenad's webinar on presidential elections got nominated, we knew there could be only one outcome. The Forex Best Awards 2017 by FXStreet is a ceremony where the best Forex analysts and educators of the previous year get rewarded and recognised by their peers. We at Admiral Markets are extremely proud to have been a part of this event and we will continue our mission of providing you with the best financial services.